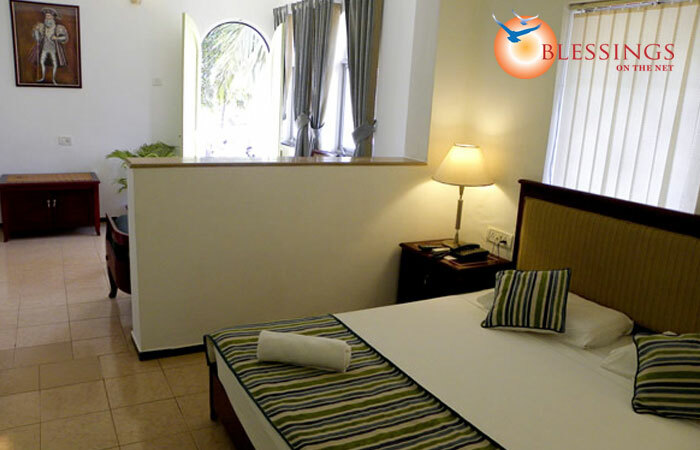 Location : Hotel Colonia Santa Maria is situated right on the Baga Beach. Colonia Santa Maria offers 100 tastefully designed and luxuriously appointed suites. 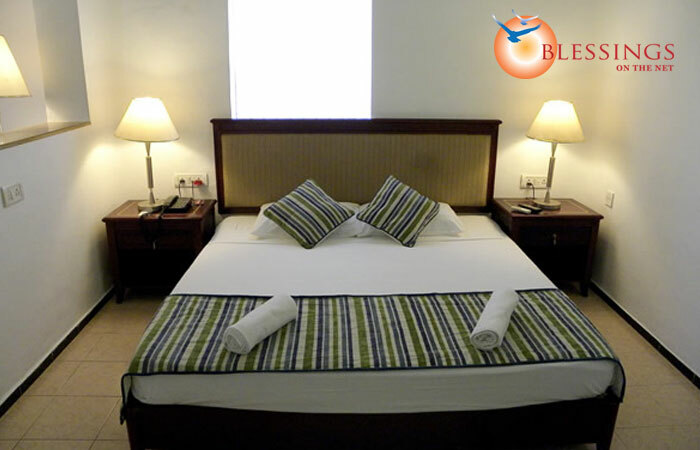 All the suites are equipped with contemporary amenities for comfortable and pleasant stay. The hotel has in-house bar and restaurant 'The Balcao', located on the terrace overlooking the hotel swimming pool. 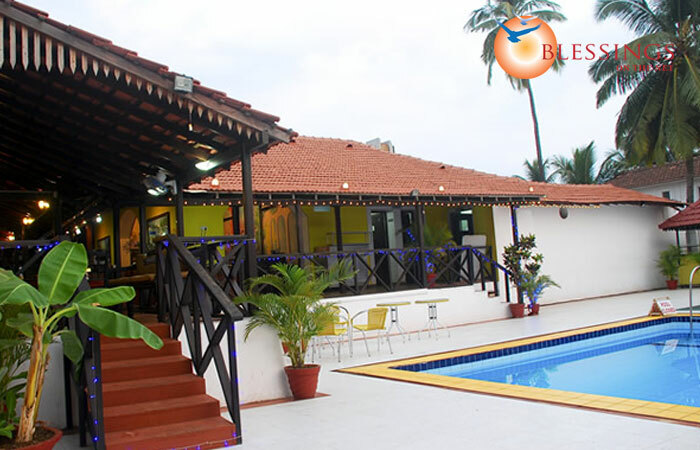 The restaurant serves traditional Goan Cuisine and other mouth watering dishes. Well appointed air-condition room with satellite T.V.,Telephone, Tea/Coffee Maker, Hair Dryer & Fridge. Transfers from Airport / Thivim railway station, Panjim / Mapusa Bus stand by Non AC car. 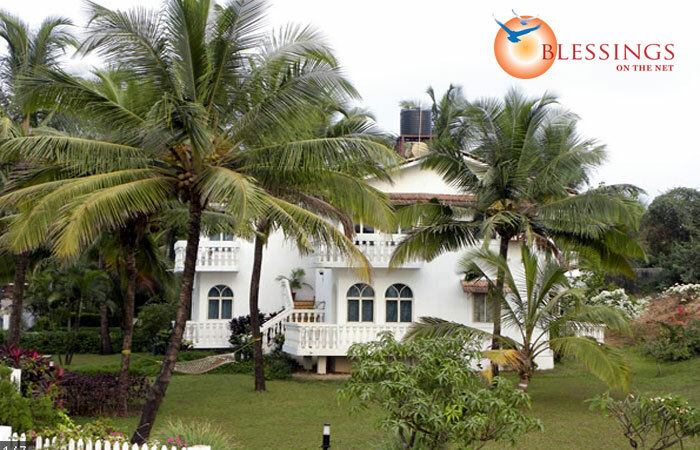 One full day sightseeing of South Goa along with Boat Cruise on River Mandovi by Non - A/C coach. Well appointed air conditioned room decorated with flowers.